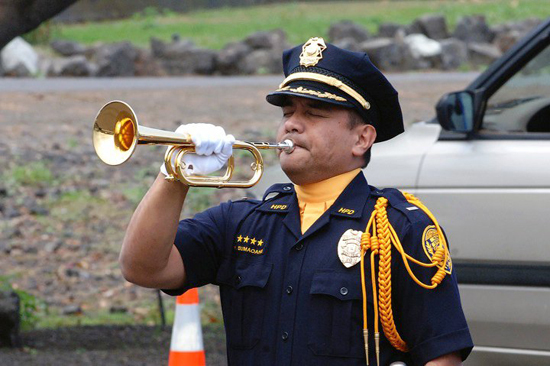 The Hawaii Law Enforcement Memorial began as a dream of Joan Gribbin-Aiu in 1995 after her daughter lost her father, Bryant Bayne, a Honolulu Police Department SWAT officer, who along with Tate Kahakai, another HPD SWAT officer, and Peter Crown, a Honolulu Fire Department firefighter/pilot, were killed. All three perished after their helicopter crashed while attempting to rescue lost hikers in Sacred Falls, Hauula, Hawaii. Joan was also a close friend to HPD Officer Troy Barboza who was killed while operating undercover in a major narcotics investigation. Several years later, Joan and her daughter traveled to the National Law Enforcement Memorial in Washington, D.C. where they viewed the names of fallen officers, including those of Barboza, Bayne, and Kahakai. Seeing the name of her father helped Joan’s daughter ease her loss, however, it perplexed her why Hawaii families had to travel so far to honor their fallen. Later, while traveling through Florida to the Kennedy Space Center, Joan and her family passed through the town of Titusville, FL where a nondescript building housed a police museum. She entered and to her amazement, discovered a marble police memorial listing the names of every law enforcement officer killed in the United States. 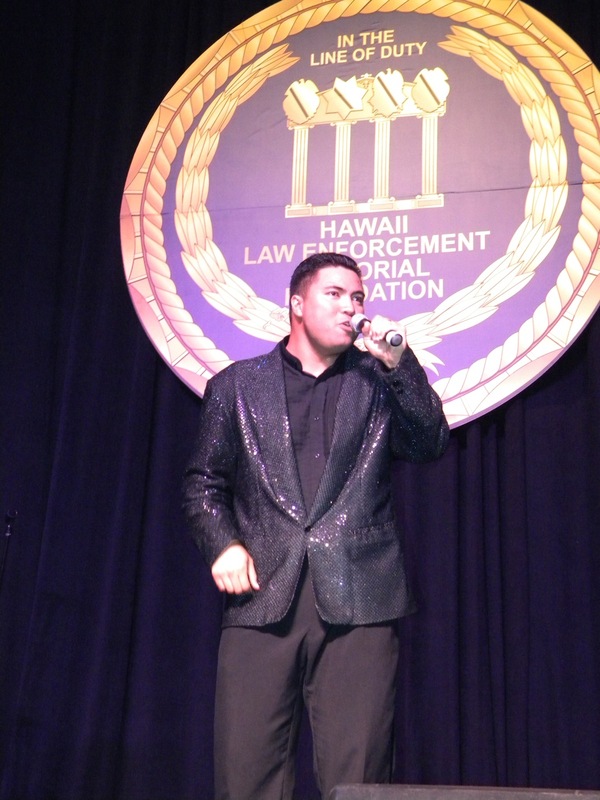 Included among them were Hawaii’s own Barboza, Bayne, and Kahakai! Once again, viewing those names only perpetuated her wonder as to why Hawaii did not have its own memorial to honor the fallen. It was those events which gave rise to establish a Memorial in honor of Hawaii’s heroes. 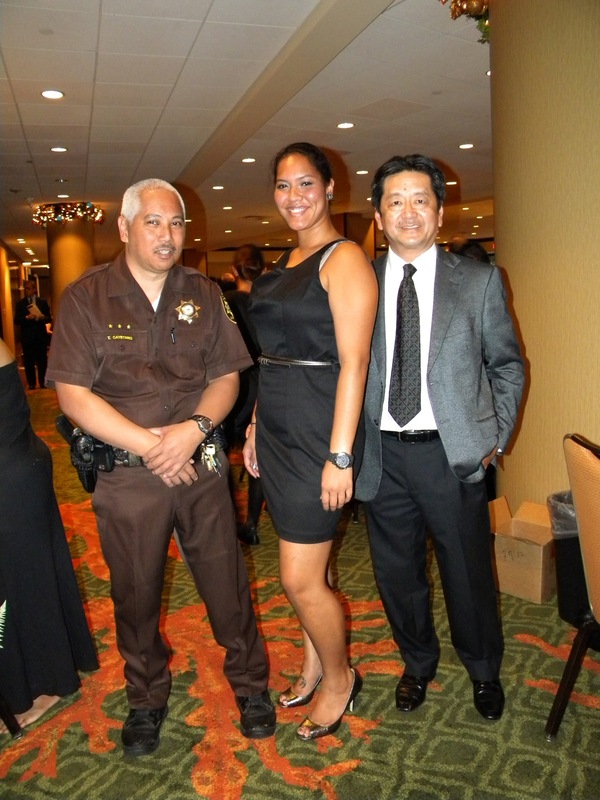 In February 2010, Joan’s husband Thomas K. Aiu, a Senior Special Agent with DEA, established the Hawaii Law Enforcement Memorial Foundation. He later petitioned the Hawaii State Legislature to establish a measure which would support the conception, construction, and maintenance of a law enforcement memorial. House Concurrent Resolution 139 was subsequently drafted to support the Memorial but more importantly, it set aside land on the grounds of the State Capitol for the Memorial’s eventual placement. In April of 2010, HCR 139 was passed by the Hawaii Legislature paving the way for a perpetual Memorial. As directed by HCR 139, the Memorial is a collaboration of the Foundation, the state Department of Accounting and General Services (DAGS), the four county police departments, the Department of Public Safety (DPS), the U.S. Marshal, SHOPO, and the Concerns of Police Survivors (COPS). Together these agencies and organizations are mandated to plan and construct the Memorial. On April 25, 2011, House Bill 1622, a follow-up measure to HCR 139 was signed into law by Governor Neil Abercrombie directing that a law enforcement memorial be built within the capitol district grounds. Along with her Board of Directors, the dream of the Foundation has begun to take shape and will someday soon be fully realized. Projected ground breaking for the Memorial is during Police Week 2011.